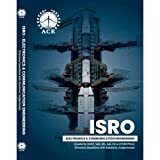 ISRO exam is two step exam first written test then interview. In order to shortlist for interview a candidate need to qualify written test by scoring minimum qualifying marks decided by ISRO. The written test will contain objective type multiple choice questions to be solved in the given time period. #Note : There will only one section in the objective type paper and questions would be branch wise. The applicants must prepare the concerned subjects specific questions of their qualifying degree. The candidates may follow IES/GATE Exam syllabus to prepare for the written exam and interview questions. The interview will be based on your branch of engineering and technology specific, basically asked conceptual questions and therefore the applicants should focus on their basics in the concerned subjects.